Want to win a fabulous vacation? Shirlee’s has referral offer that you won’t want to miss. For a limited time if you refer a friend who joins the gym, you will get to SPIN-to-WIN for a chance at a trip or other prize such as a tablet or restaurant gift certificate. 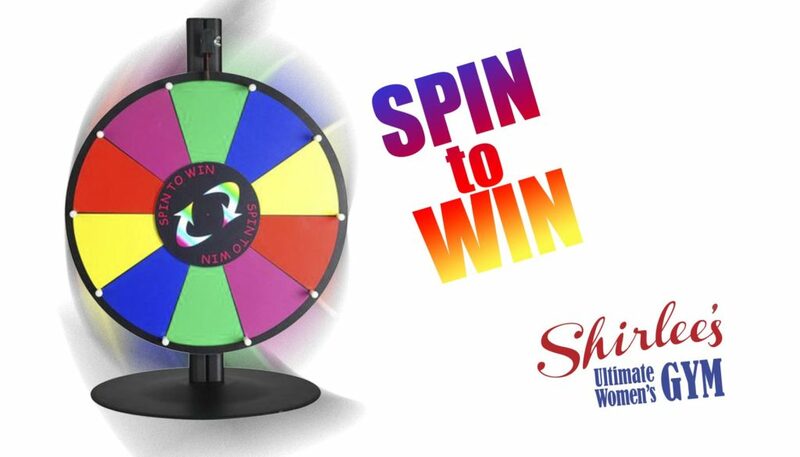 Spin-to-Win is a limited-time, while-supplies-last offer, so hurry in for your best chances of winning a fabulous prize. 2 airfare tickets with 2 nights of hotel stay in the U.S.
Our Spin-to-Win Referral has been expanded so that anyone may refer a new member and get the chance to spin. You do not have to be a current member of the gym. So share this offer with your friends and give them the chance to spin-to-win by referring a new member. You can find the latest specials for new members on our Membership Page. Ask at the front desk for details. This entry was posted in News and tagged referral offer at Shirlees. Gym specials Upland, win prizes. Bookmark the permalink.